Among the marketing campaigns for spirits in 2018 was also The Process of Gin Aviation Gin. In The Process, Ryan Reynolds solid comedian as always, mocks with his best humor the production process and the origin of the Portland gin brand. “What makes Aviation Gin so delicious? I’m glad you didn’t ask…” says the actor. He adds that the citrus fruits are misted with the tears of the owner of Aviation, and that every morning the distillers thank the new day with four hours of silent meditation. Ryan Reynolds and Sir Richard Branson announced in another funny video the association between the gin brand Aviation American Gin and Virgin Atlantic Airlines. The actor and producer pretends with his best comedy not to understand what the association is about, next to an indignant Sir Branson. 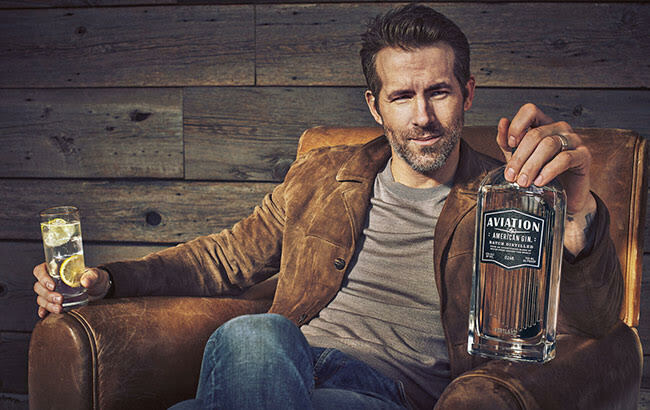 A great marketing campaign of spirits led by the gin Aviation Gin, which has literally taken off and risen even higher, since its acquisition by actor Ryan Reynolds.